"Addyson has tremendous enthusiasm, team spirit, and genuine love for the game. This past week (vs. Pink Unicorns) she made 4 outs in one inning at third base. She also continued to make consistent contact batting balls into the outfield. She has had superb attitude and has supported all of her teammates all year." 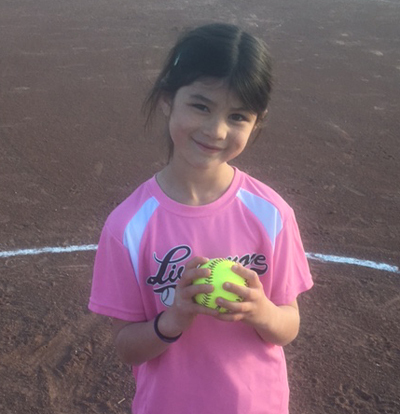 "Lyndsie was our star player last week and it's only her first year playing! She was 2 for 2 at the plate, and both of those hits were off the pitcher! 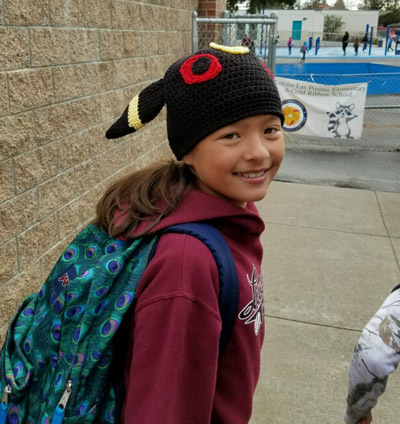 Her positive attitude and motivation are driving improvements each and every week, and watching her confidence build as the year goes on is truly special. The whole team is behind her and we're all excited to see that big smile every time she gets on base. Great job Lyndsie!" 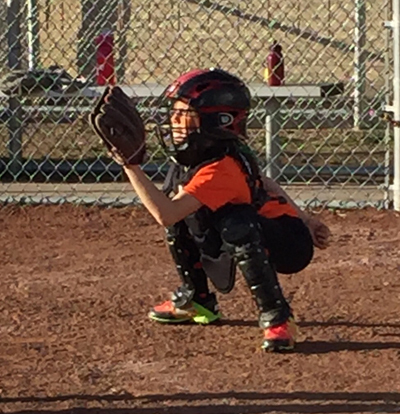 "Week after week Lia has supported her team as catcher. 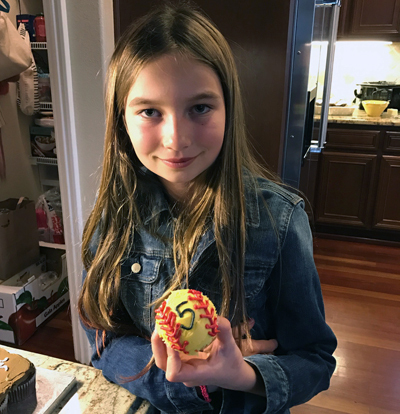 With more pitchers than catchers on the team, Lia has played many games at catch for 4-5. 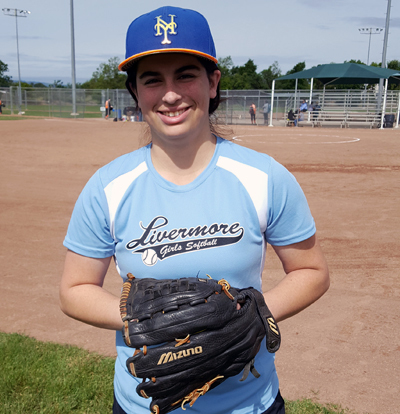 Lia’s quick thinking, amazing arm and ability to field the ball with precision allowed her to make two outs on 3rd. It is refreshing to see her confidence rise as she stops the opponents from stealing or coming home. She has also proven herself up at bat and enjoys showcasing her speed and stealing bases. 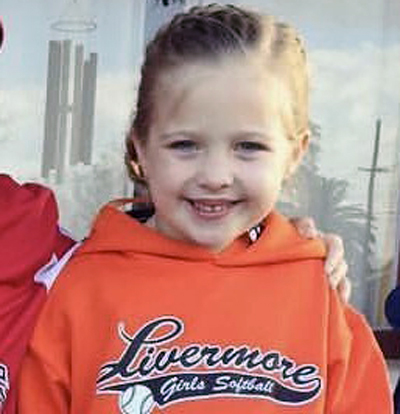 Lia is a coachable player, who supports her team, and respects her opponents. It is difficult being the coach’s daughter. You are expected to hustle harder with less recognition. I am not only proud of the player that Lia has become, I am proud to be her father, her coach and part of her softball journey." "Payton has got on base or hit an RBI every at bat in the last 6 games. She worked hard to the top of the line up, taking extra time to work on her swing. Her motivation has been key for our team's winning streak. She is very aggressive on defense and loves the game of softball. A great kid with a big heart!" "Kaitlyn is a very talented ball player! She always gives 100% both during offense and defense. She has an extremely strong arm and an incredible ability to field the ball cleanly. 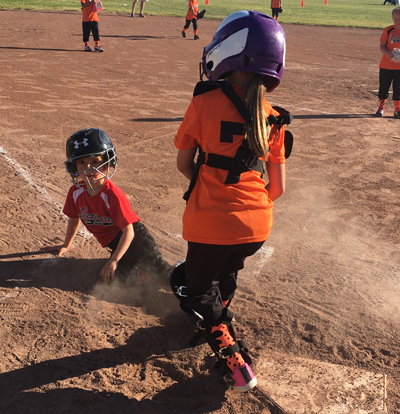 She never takes an at bat for granted and she gives her all when sliding into home plate! She is always excited and present on the field. Way to go, Kaitlyn!!!" "Kendall delivered the spark our team needed this past week. She was excellent in the field and during her at bats. What really impressed me was her team spirit. I can always count on her to get the cheering started in the dugout. Go Kendall!" "Zoey played an inspirational game, led by solid effort in every aspect of the game. She was always ready, encouraging, creeping, and hustling all game. 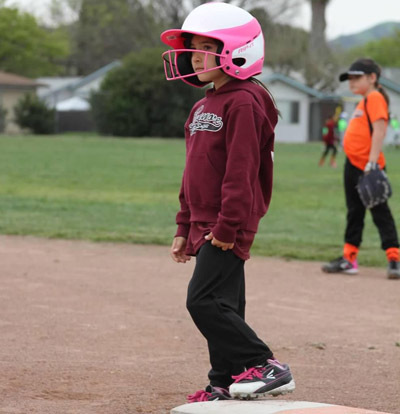 At the plate, she was 2 for 2 and in the field she turned a double play to finish the game." 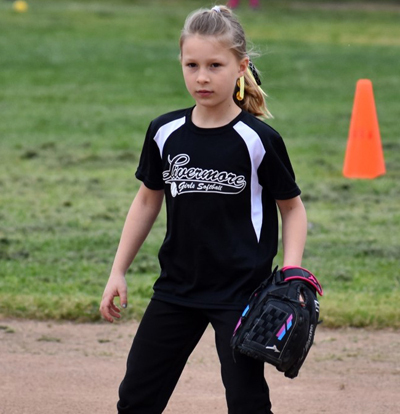 "Emma had a stellar game against Frozen Power last Saturday. Emma went 3 for 3 off coach pitching and hit the ball off the first pitch her second time up! Emma played first base and got the first out of the game. She is always giving her “all” every game and practice. Emma is a solid player and has the ability to play any position. She has a very positive attitude towards her teammates and is a great asset to have on the team." "Madison is a selfless teammate who works hard everyday and has shown great tenacity, courage and sportsmanship. This season, Madison has emerged as a standout pitcher, third baseman and shortstop for the Hurricanes. 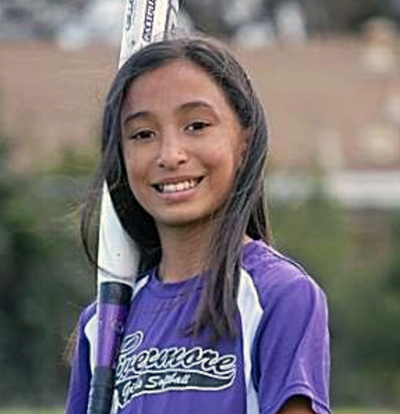 In our game this week, she registered several strikeouts and had a monster double off of an outstanding Force pitcher. Madison is quiet, confident and focused. She leads with her actions and is a fine representation of the character qualities that the LGSA represents. Handwork, toughness, class." 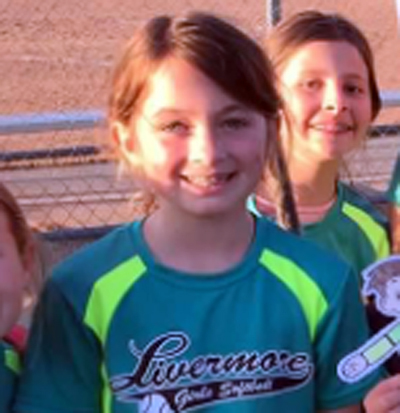 "Savanna owned the plate this week, both with her bat and with her glove. In two games she went 4 for 5 at the plate with 5RBI, 3 runs, and a solid double to centerfield. Her one out was a line drive to 3rd base. In a tight game on Saturday, she closed the door on the opposing team with a two-out, 1 run single in the bottom of the 3rd. Behind the plate, she was just as impressive. Savanna threw out a runner at 3rd during an attempted steal and had another putout at the plate. Savanna was also able to dial it in at the other “Home” and managed to finish her homework on time and attend Tuesday’s game. Way to come through in the clutch Savanna. Both at home, behind home, and at Home." "I would like to nominate Jessica Barger for Player of the Week. Jessica is a natural athlete and always has a great attitude. She is a team leader and lifts up the girls if they are down. Jessica had one the best games ever on Saturday. She nabbed a shot to first back handed and got the out. She caught a fly ball diving into the ground on third and held the ball for the out. Jessica threw someone out at first from third and also got a girl out at home, tagging her out. Jessica is an all around good player. 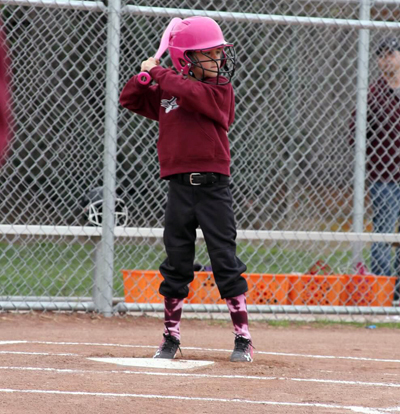 She gets on base pretty much every time and even got a couple of RBI's on Saturday's game. She loves to play softball and it shows." 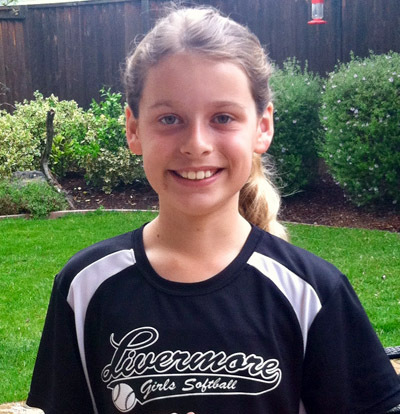 "Mikayla is a first-time softball player who has raised her batting average to a legit .429. Mikayla listens intently to all the coaches and even came to practice her hitting and defense during Spring Break. Mikayla is 4th on the team in batting average and 1st in being beaned (3x), a stat she wears proudly :). Her run production, plate discipline and overall attitude towards her teammates and the game is outstanding. Mikayla is a perfect example of a girl coming into the league and absorbing all the coaches have to teach her and then applying it." "Jenna is a great team leader, a great teammate and a great example of a team player. She keeps a positive attitude and gives her best effort. 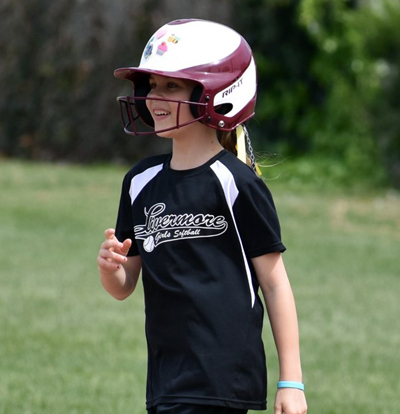 This past weekend she batted 2 for 2, bringing in a run, stole a base, and scored 2 runs. She caught 2 pop flies to center field and caught one long pop to right field! Way to go Jenna!" "Tyla had a great game against the Sparkling Dragon on Monday. She went 2 for 2 and hit off the first pitch her second up to bat. Her fielding was great too, chasing after every ball that came her way. She has shown great improvement this season and is enjoying every minute of it. You can always count on Tyla to give it her best and have a smile on her face at the same time." "Morgan consistently displays a great attitude at practice and during the games. This past Saturday she hit a nice single to drive in a run and keep our rally going. She has also done a great job playing catcher. Keep it up Morgan!" "Makena was on fire last week. She closed out the game pitching 2 strike outs in two innings and didn't allow a single run! At the plate, she was 2 for 2 with a run and an RBI. 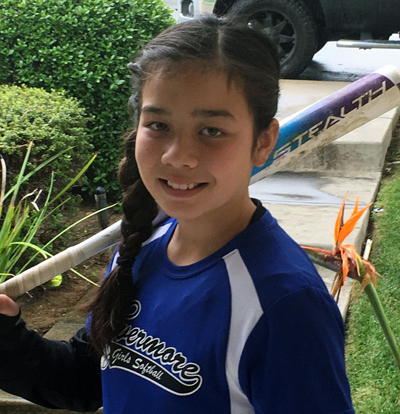 Makena has been putting in a lot of extra effort in her pitching and hitting and it's really paying off! Makena has a great attitude and it shows on and off the field. Keep up the great work Makena!" "Leila “Hollywood” Giustino is heating up as the season approaches the halfway point, and if last week is any indication, she’s going to tear up the second half of the season. Against the Thunderbolts, Leila went 1 for 2 at the plate with 2 runs, 4 RBI and a big time triple to right field. Leila also helped shutdown the Thunderbolts’ fourth inning rally with a two-out assist at home. For the week Leila pitched 3 innings, allowing 6 runs, 5 strikeouts and just 1 walk. Leila also recorded 2 assists and her second 1-2-3 inning of the season. Both on the mound and at the plate Leila has ice water in her veins and the lights can never get to bright for “Hollywood” Giustino!" "McKenzie had a great week for the Stealerz and is a fantastic all-around player. Our team played 3 games this week, Wednesday, Friday and Saturday morning. McKenzie started all 3 games, pitched 10 total innings, recorded 13 strikeouts, and led our team to 3 consecutive wins. At the plate, McKenzie was just as impressive with 8 hits and 12 RBI. 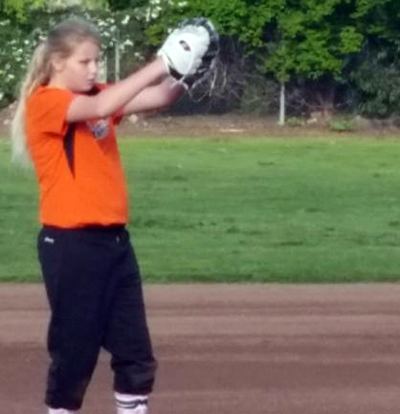 When not pitching, McKenzie plays shortstop and has been a defensive force all year. What really makes McKenzie special is her attitude. 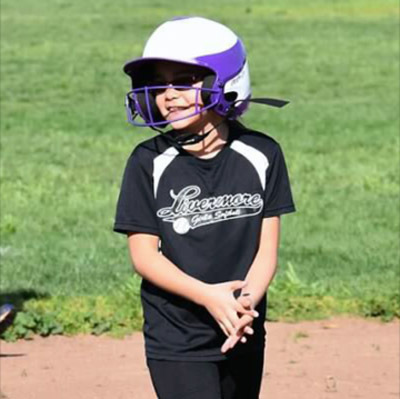 She is always smiling and truly loves playing softball. McKenzie works hard, never takes a play off and is really a pleasure to coach." "Emma is an outstanding player and it showed during her last game. She played first base and made an awesome catch to almost get the out. 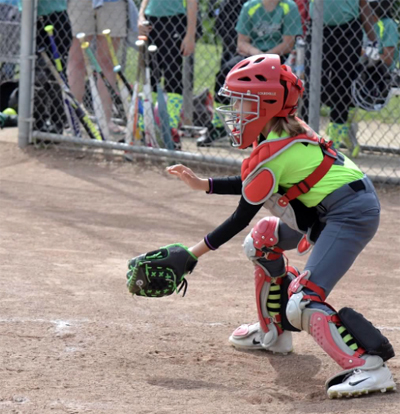 While playing catcher she stopped many coach pitches and had her full attention on the game. Emma is a great teammate to the other girls and coaches. She is always helpful and polite. She has a love for the game and it shows." 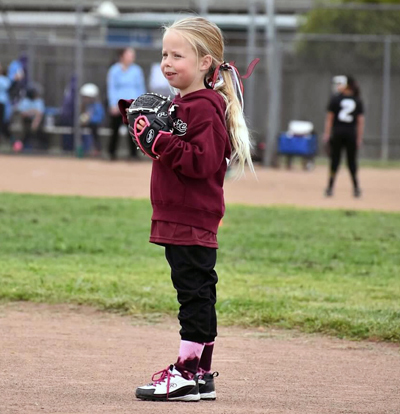 "Camdyn always has a smile on her face and any time Coach Boyd asks her to do something, she says, "Yes Coach!" and tries her best to do it. In our game this week Camdyn hit a line drive to the grass for the first time of the season and that includes practice. 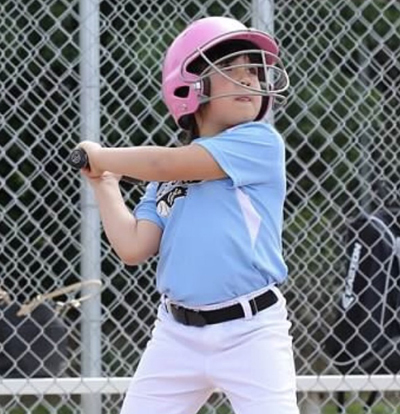 She is not afraid to take a swing against the opposing pitcher and has made contact many times. While playing catcher this week, she hustled after every passed ball and didnt need coach's help. Camdyn is a true pleasure to have on the team." "Harper was a ball magnet this week, making all kinds of plays in the field. She was focused and engaged, knowing when to cover her base and which base to throw to when she got the ball. At the plate, she went 2 for 2, with both hits going to the outfield. Harper continues improving each week, driven by effort in practice followed by the same effort and hustle in the games." 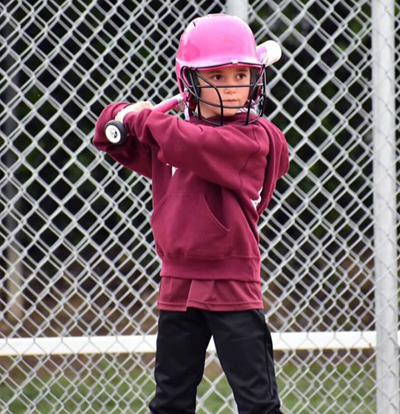 "When Grace “GRizzo” comes to the plate, coach Kevin sits back and watches — cause he knows it’s either gonna be a hard fought, hard swinging strikeout or a three-run double up the middle. Either way, it’s a work of art. Grace Phillips may be the most cerebral player on the team but that doesn’t mean she doesn’t get after it. In two game this week Grace went 3 for 3 with 5 RBI, 2 R, and 2 SB. 2 of her 3 hits reached the outfield and all were solid shots. 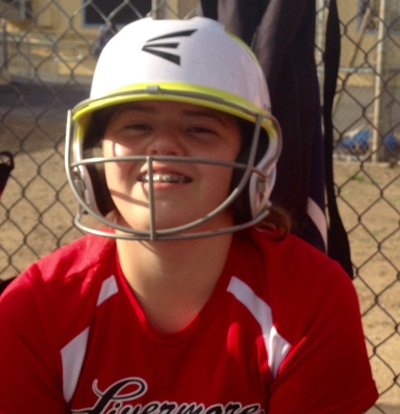 Behind the plate Grace exudes confidence and is one player you don’t have to worry about knowing their assignment. One of these days Grace will be coaching her own team but until then, she’ll just have to settle for being Vespas Player of the Week!" "Mariah has been a fun and charismatic member of our team all season. Always there and always happy to play. Win or lose, practice or game, she is always positive. This week she was a huge contributor to the first win for the MS Hot Tamales. Mariah pitched 2 innings and recorded 3 strike-outs and caught a back-handed line drive on the mound that was absolutely incredible. As a side note, we really needed someone to step up as a secondary pitcher and Mariah has done a fantastic job filling that role. Mariah did great behind the plate with 1 walk and 2 singles, stealing 4 bases and bringing in 3 RBI’s to secure a 3-run lead going in to the bottom of the last inning. We wouldn’t be the same team without her." "Ashlee is a very athletic player. She shows extreme determination to do her best while on the field. Ashlee’s throwing arm is strong and on target. She is also a very supportive teammate and shows goods sportsmanship. She continues to show improvement every game. Ashlee can play in any position and plays it well. She is a great player and glad she is a Dragon!" "Reagan is a proven natural athlete. This is her first year playing softball and she is rockin it! Reagan pitched a successful inning with 1 strikeout and had an amazing hit to the outfield for a double! We are so proud of her work at practice and leadership in games! Go Reagan!" 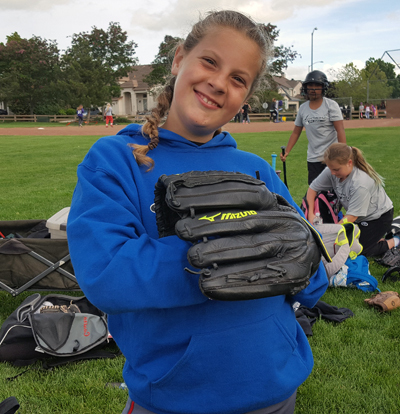 "Jasmine brought back her "piranha" in the field, eating up every ball that came near her and making good throws to get the outs. On the mound she was dialed in as well, pitching two strike outs in two innings and not giving up any runs! Jaz knocked in the lone run for the Force with a solid drive just short of the outfield. Jaz brings it every practice and every game and her determination shows on the field." "Rachel had a great week, leading her team to two wins. 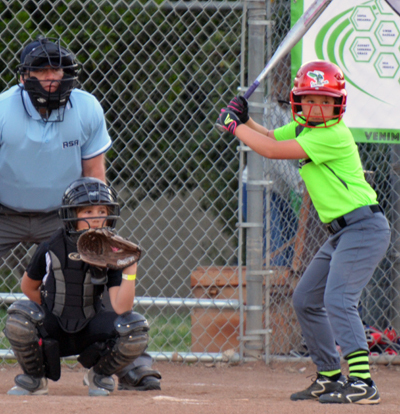 At the plate, Rachel had 6 hits in 7 at-bats with a walk, 2 HR's, a double and 6 RBI. The final hit was a walk-off double in a 8-7 win on Saturday. Defensively, Rachel was outstanding as well, catching 7 of our 11 innings played. More importantly, Rachel has emerged as a true leader for our team. Rachel arrives early for practice, works hard and has been a great teammate all year." "Alexa is an all around awesome player. She does well in any position she is put in. Her attitude towards her fellow teammates is always uplifting and encouraging. She always has her eye on the ball whether she is fielding or batting. 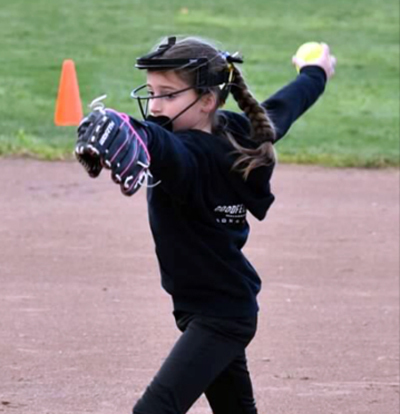 Her progress this year is outstanding, and her softball skills are continuing to improve every practice." 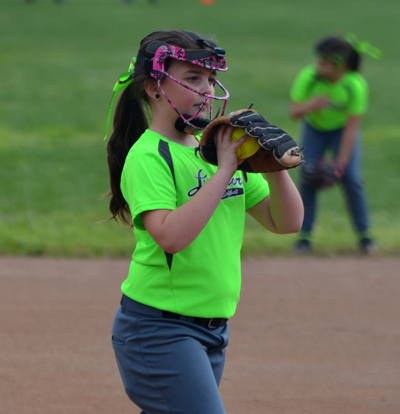 "Jolene has continued to work hard on her pitching and it paid off this Saturday with her best inning yet. She struck out 3 batters in one inning of work. 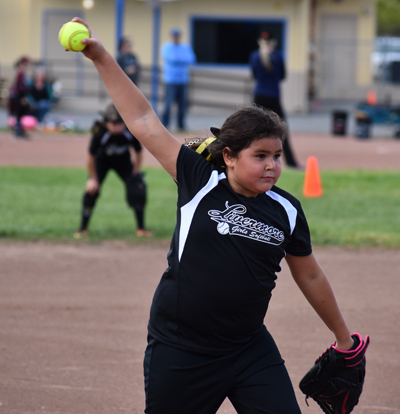 She has a natural ability for pitching and always takes the field with a positive attitude. Keep up the good work!" "Parker is the ultimate teammate. Her practice habits are incredible. Each and everyday she comes to practices and games with positive attitude that is infectious to her coaches and fellow players. 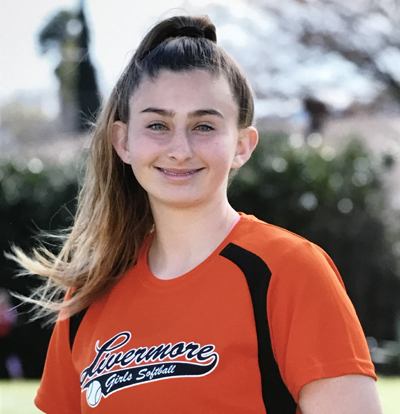 Parker has tremendous leadership qualities and is willing to sacrifice her body for the team by blocking balls in the infield, making hustle plays in the outfield, pitching and hitting. Parker Black is simply a tremendous young lady. She is an excellent leader on our team and makes big plays in the games. Each and every game she contributes with her whole heart hustle, positive attitude and good cheer for her teammates. She has a winner's quality and I am honored to coach her." 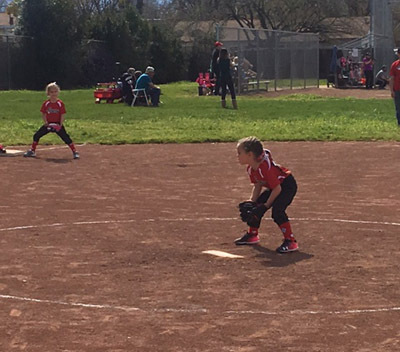 "Makenzie pitched two innings for the Thunderbolts during which she struck out four batters and fielded two hits resulting in additional outs and a win for her team. 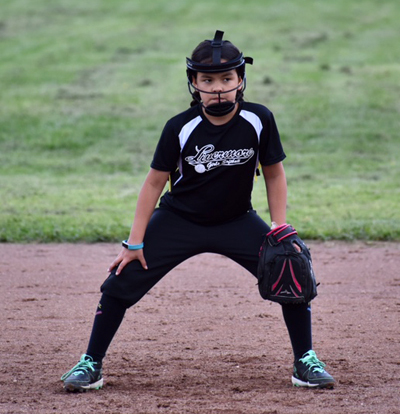 Her performance can be attributed to her positive attitude and the hard work she has been putting in at home working on her softball skills several evenings a week. 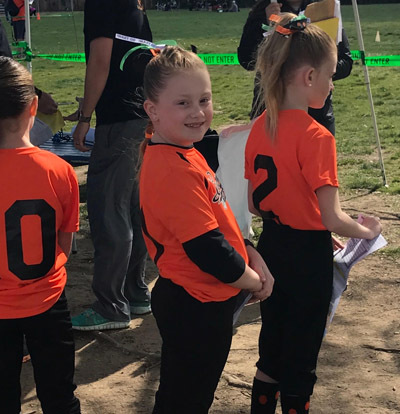 She only started playing softball in the Fall of 2016 and she loves the game and all her new softball friends. 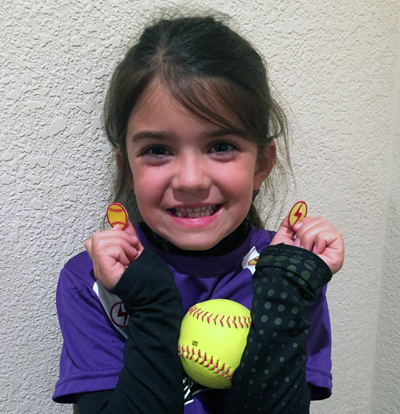 She loves to cheer on her teammates and is a joy on and off the field." "In 8 innings of pitching over 2 games she has only given up 5 hits on 4 walks with 11 strikeouts and 4 earned runs against her in 2 games this week. She is the winning pitcher of record going 2-0. Jayden was the winning pitcher in our 1st game Sat night and again tonight vs SWAT, and offensively has gone 3 for 3 with 4 runs scored with being walked 6 times and 7 (legitimate) stolen bases in our last 2 games this week. In addition, Jayden has played 4 innings at shortstop recording 4 putouts. The best part about Jayden is she will play anywhere at anytime, and often says Where do you want me coach?" "Mia is a fun-spirited, determined played who always gives 100% effort no matter what position she is playing. She is always "softball ready", she goes after every ball and makes it a point to work hard on her skills on and off the field. She is encouraging towards her teammates, comes to each game ready to play and always has a smile on her face." "Alicia had an amazing game, going 3 for 3 with two of those hits off the pitcher! 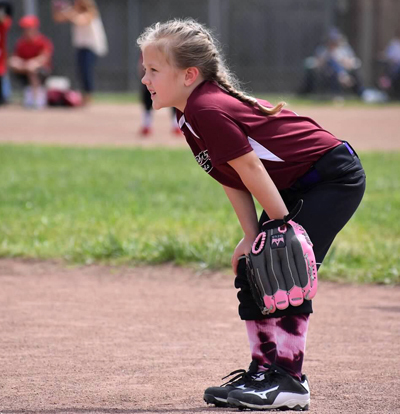 She was on her game in the field too, backing up plays when she was in the outfield and making unassisted outs while playing first base. Alicia has a positive attitude and always give 100%. Keep up the good work Alicia." 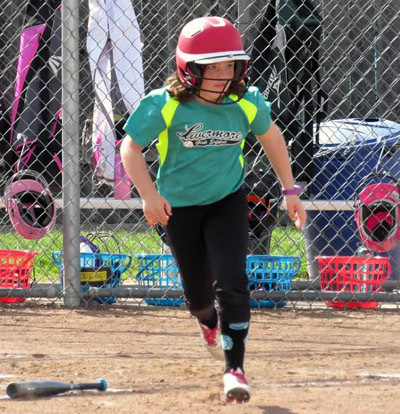 "Savannah drove in four on three hits to lead the 9U Beast Mode Pandas past the Thunderbolts on Saturday. Savannah drove in runs on a single in the first, a single in the second and a triple in the fourth. With a 3 – 1 count, Savannah made a hit allowing us to take an early lead in the game. 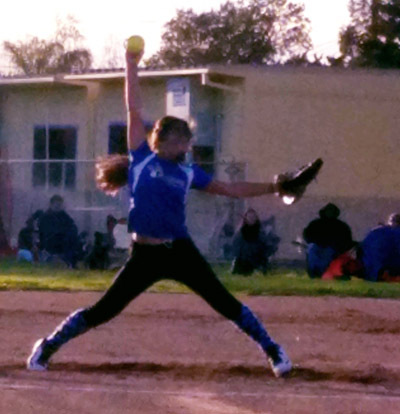 Savannah also did a stand up job at pitching and won 11 strikes out of 23 pitches. Savannah stays encouraging her team, she is always smiling and enjoying the game! Great job Savannah we are so happy to have you on our team and look forward to what the season brings!"